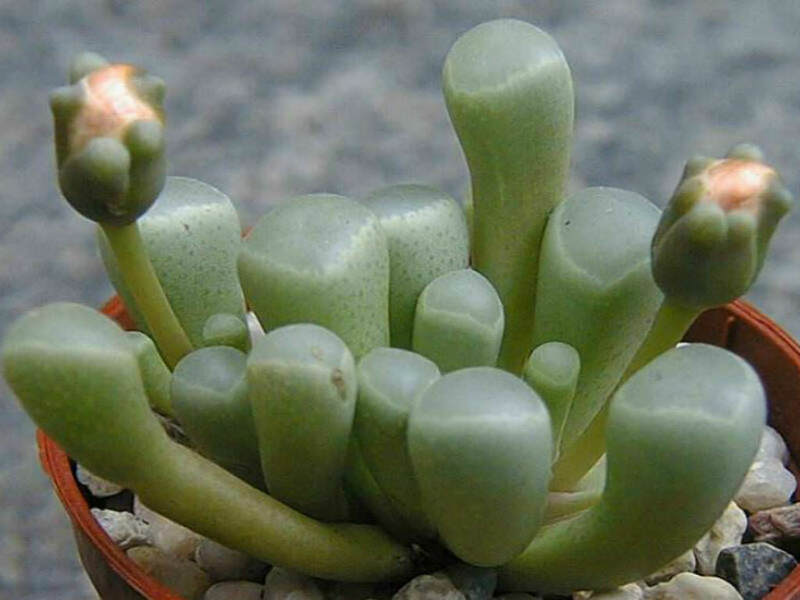 Fenestraria rhopalophylla (Schltr. & Diels) N. E. Br. 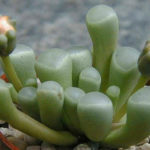 Fenestraria rhopalophylla is an evergreen, perennial succulent up to 6 inches (15 cm) tall. Not present or very reduced stem. 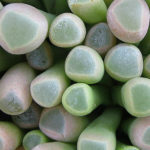 The tip of each leaf is transparent, and diffuse the light to the rest of the leaf. The roots are thick, shallow, and spreading. 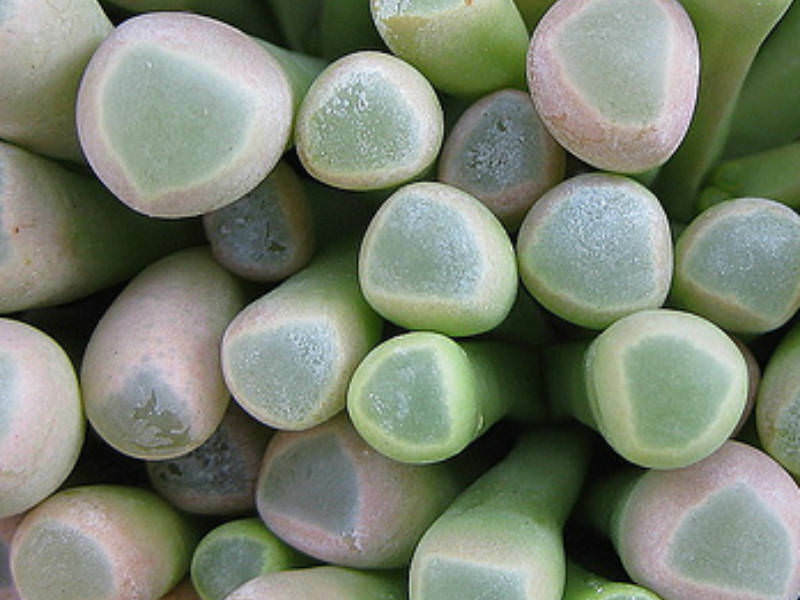 The leaves are glaucous green, smooth, up to 1.5 inches (4 cm) long and with a convex apex. 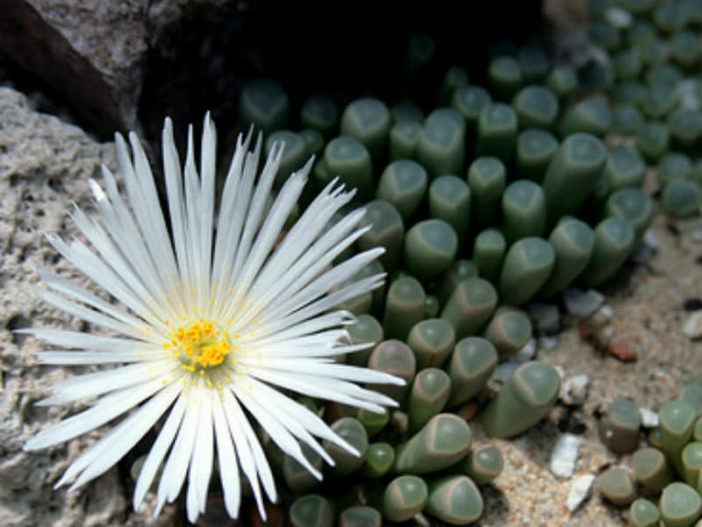 Medium-large up to 1.2 inch (3 cm) in diameter, pure white, solitary or in groups of up to three flowers borne on long pedicels.